With the movie adaptation of this book coming out in a few months, I figured the premise of Artemis Fowl looked interesting enough that I’d want to read it before seeing the film. After all, a child genius going up against fantasy forces sounded like it would be entertaining. Overall, this was true. Granted, this book starts one of those classic Young Adult series that’s actually meant for children, so I can forgive a bit of its bathroom humor—but only to a point. Still, I found the fusion of modern technology and fantasy elements to be the strength of this book. 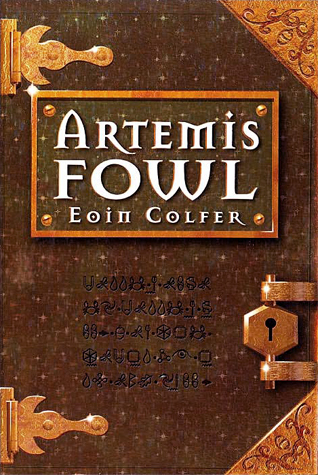 Much in the vein of the science fantasy genre, Artemis Fowl uses scientific principles and concepts to explain the numerous phenomena connected to creatures like fairies, dwarves, and trolls. It only makes sense that these creatures would evolve technologically along with humanity. Being able to explain how these creatures could remain undetected for thousands of years was nearly as engaging as the technology used to find them. The fact that this book only gave me a taste of what’s capable in this universe makes me want to come back and read the rest of the series. Aside from the aforementioned bathroom humor (and some more adult jokes that probably aren’t for children), my one qualm with this book is that the titular character doesn’t seem to play a huge role in the proceedings. I mean, I get that he’s a criminal mastermind working from the shadows, but I found the character so interesting in the few moments where he appears that I wanted more of him. Instead, many chapters focused on the military-fantasy world of the fairies, and I’m not that into military-based stories anyway. A classic YA military science fantasy, I give Artemis Fowl 4.0 stars out of 5.